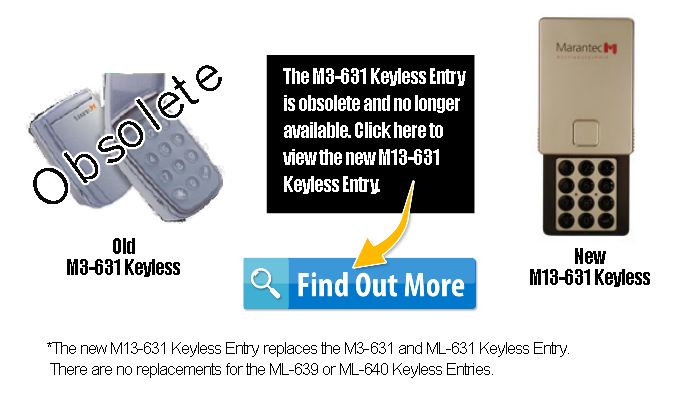 The M3-631 Keyless Entry is 315MHz frequency and is compatible with the following Marantec openers: M4500, M4500e, M4700, M4700e, Q7500, Q7700. If your remote has 315MHz printed on the back of it then the M3-631 is compatible. You can enlarge the view of the following instructions by clicking in the lower right corner or download the M3-631 Marantec Wireless Keyless Entry programming instructions PDF file located under the image.